The Olympus E-5 is a welcomed replacement to the E-3 from 2007. This unit offers various improvements, a durable body with weather/dust resistance, excellent image quality and robust performance. It's also competitively priced. Read more in our Full Conclusion. 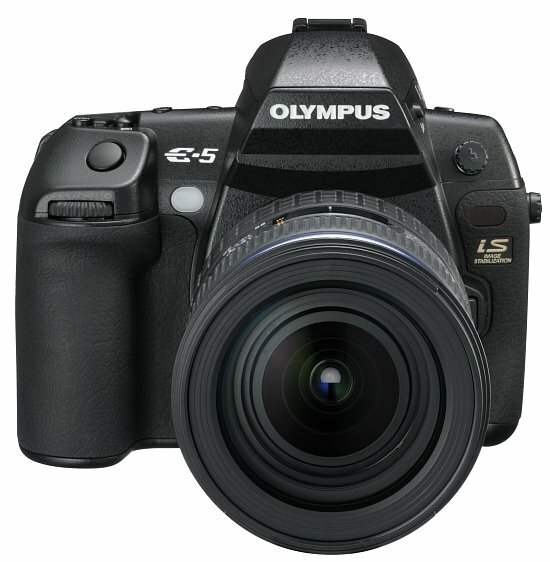 Olympus' new flagship model, the E-5 dSLR is a professional level camera that is loaded with the latest in Olympus technologies. This unit is built with a rugged magnesium alloy body that is not only tough but dustproof and splashproof as well, ensuring it can stand up to the lifestyle of the most active photographers. The E-5 replaces the E-3 from 2007, and boasts a 12.3-megapixel Live MOS image sensor (same unit found in the E-PL1), Four Thirds lens mount system, TruePic V+ processor with Fine Detail Processing technology, and an awesome 3.0-inch LCD that offers dual axis swiveling. On top of its robust exposure capabilities and control, Olympus has incorporated some of the creative functions found on their Digital PEN cameras, such as their popular Art Filters. We got our hands on a pre-production unit for about a week, and were very impressed with the build quality and feature set of this model. This is sure to be a very competitive model against the mid to professional level dSLR offerings from Canon, Nikon, Sony, and Pentax. Update: since out first look, we've had the opportunity to put a full production E-5 through the paces. See our conclusion page for more details. The Olympus E-5 dSLR body only kit will be available in October (2010) for a suggested retail price of $1699.99 US.